Pilot's are often adventurers who search the world for new challenges and excitement. 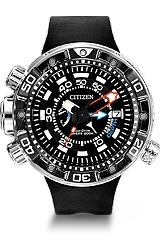 If you search takes you to the depths of the ocean, the Citizen Promaster Aqualand Depth Meter Dive Watch may be your perfect accessory. 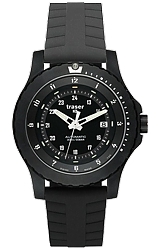 Be warned however, this is one huge watch, over 2 inches wide and nearly 3/4 of an inch thick! If you demand excellence know that the Aqualand is ISO certified and features advanced functionality such as a rapid ascent alarm and auto-start dive mode. 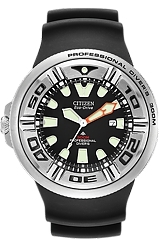 The Promaster Aqualand Depth Meter Dive Watch was designed expressly for the avid diver or the world adventurer.